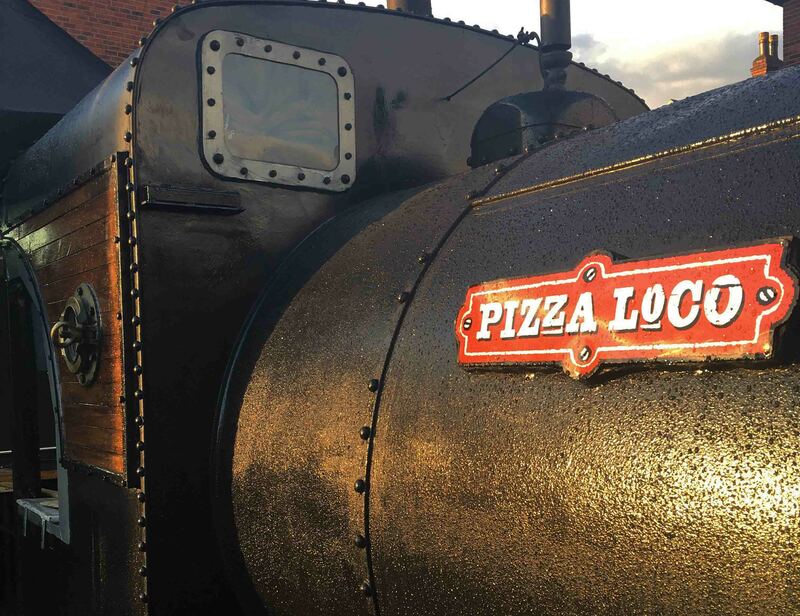 There is nothing quite like this iconic locomotive design. The fact that it serves pizzas blows our minds!! !… And these are no ordinary pizzas! No sir! 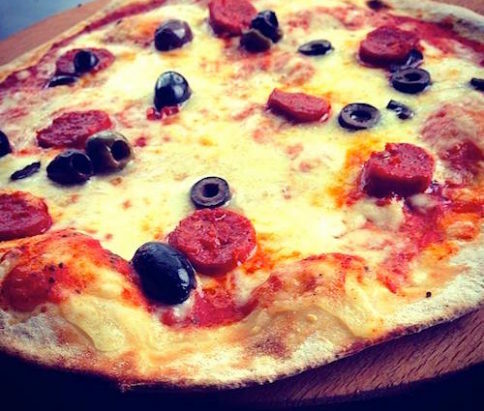 These pizzas literally melt in your mouth! 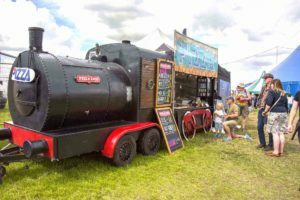 Based on a heavy-duty twin-axle cattle trailer, the vehicle has been radically adapted and re-modelled to capture the spirit of the early pioneers of the steam age. Inside the cab it has a firebox, just like a real steam train. 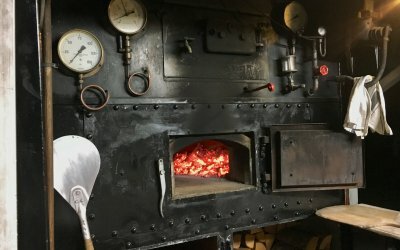 Instead of a coal furnace though, the trailer has been fitted with a traditional wood-burning oven based on a centuries-old Italian design. The super-insulated oven is designed to heat up to its optimum baking temperature of around 450°C in a couple of hours. Once it’s fired up, it can turn out more than one perfectly crisp, thin, and bubbly-crusted pizza A MINUTE. Bloomin eck! And boy are those pizzas goooooooood! We think the magic must be in their homemade (and secret) dough recipe. But then they use the most incredibly tasty locally sourced ingredients. Yes, a very Yorkshire company with Yorkshire ingredients… you will most definitely do Pizza Loco… You will most definitely do.